KnitMesh Technologies wire mesh catalytic converter seals & mesh wraps are used to protect the delicate honeycomb ceramic brick within a catalytic converter from shock and vibration damage. KnitMesh Technologies mesh wraps have been designed to protect the fragile ceramic honeycomb brick within a catalytic converter from vibration and shock damage. Normally constructed from crimped knitted wire mesh, often in conjunction with an integral strip of intumescent mat material, catalytic converter mesh wraps are usually joined to create a one-piece component that is easily fitted over the ceramic brick during the canning process. 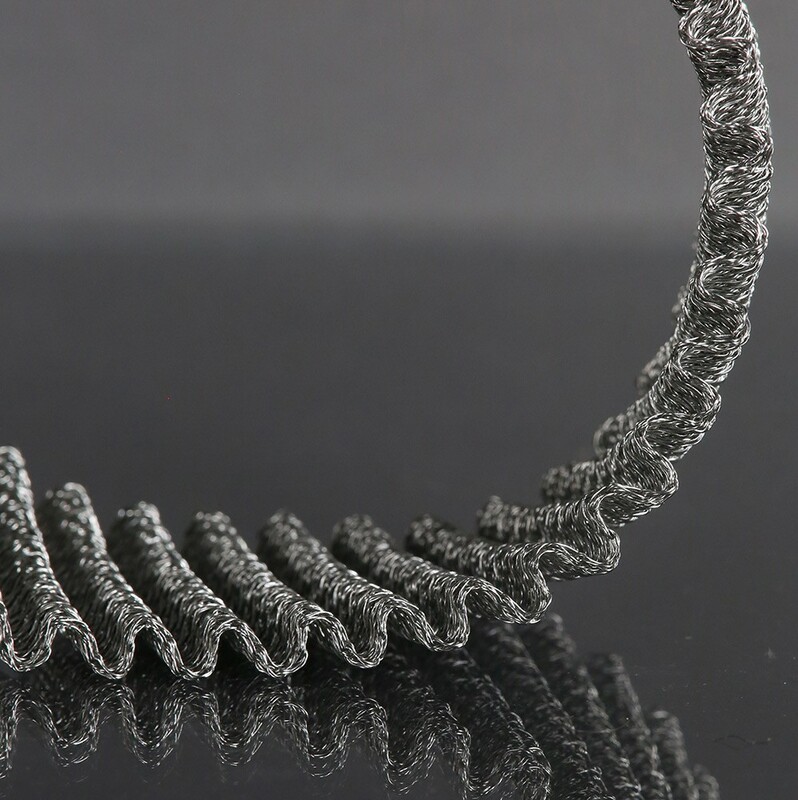 The tiny springs that are created during mesh knitting cushion the ceramic brick, preventing damage from the most severe vibration a catalytic converter might experience. Catalytic converter crimped wire mesh wraps are normally manufactured from grade 304, 316, 321, 310 and 310S stainless steel. High nickel content alloys, such as Inconel* 601 are used for high temperature applications, especially when the converter unit is positioned close to the engine manifold. To help your engineering teams fast-track product developments, KnitMesh Technologies offers a quick prototyping service.